So this last weekend I traveled south to Los Angeles with my mother for a fun getaway. I had a very packed weekend – there is so much more to do in LA than there is back home – but one of the things I should have thought through more was the timing of the trip. It was not until I arrived at my hotel that I realized that it was the weekend of the Oscars and unfortunately I was staying in a hotel a block away from where the Oscars were being hosted. It made for a very crazy weekend! The only bummer was that because it was such a short trip, I decided not to bring my camera (just relied on my phone all weekend) so I did not bring back the best pictures from this trip. Outside of the Chinese Theatre waiting for the haunted tour to begin! My first clue that something out of the ordinary was going on was that it took almost an hour and a half to get from LAX to my hotel, which was the fabulous Highland Garden Hotel. It was about a block and a half from the Chinese Theatre. It was fun to walk down there and see the nightlife. From there I went on a nighttime Starline Tour – the haunted Hollywood one of course. It was fun to learn about the haunted history of Hollywood and to see places like the house where Halloween was filmed. It was also fun to get to just take a tour of LA in general (the last time I was there I was five and kickin’ with the cast of Roswell, but that was a lifetime ago). 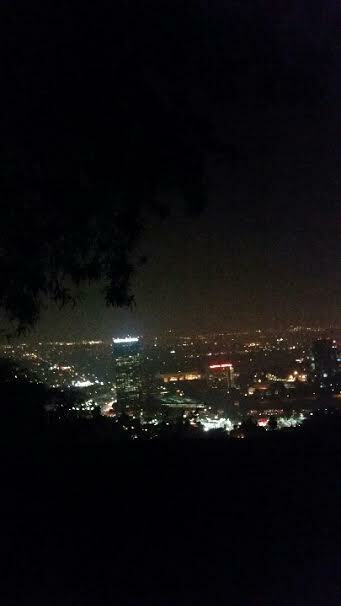 A view of LA from the haunted tour – it was such a beautiful night! The next day I just kicked back at the hotel, which I would seriously recommend! 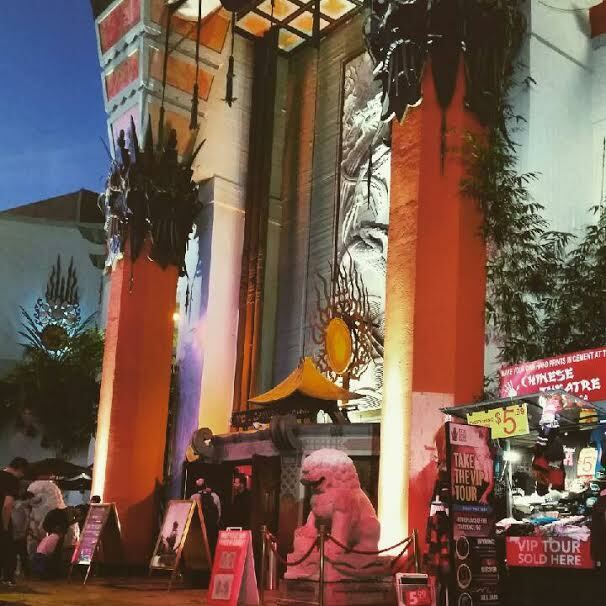 The staff was ridiculously friendly and they treated me like family – plus it is in a great location, being so close to the Chinese Theatre and the subway and all. While I was there I was got to meet reporters from all over the world coming for the Oscars. 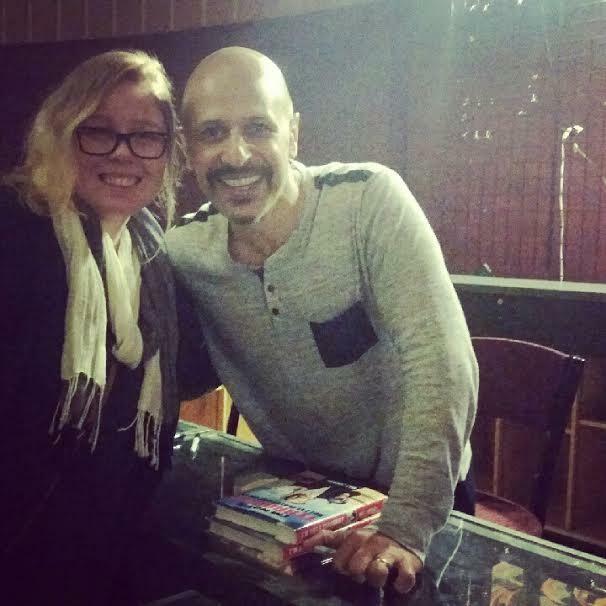 That night I got to do the thing I went to LA for in the first place – see comedian Maz Jobrani perform! He is seriously one of my favorite comedians and I was in tears the entire time I was there from laughing so hard. If you have never heard of him go watch some of his material on Youtube right now – or read his book I’m Not a Terrorist, but I’ve Played One on TV (and everyone got a free copy at the show, so I can’t wait to read it). What I love about Maz is that not only is he insanely hilarious, but he has a great message to spread. He is Iranian-American and a lot of his focus is using comedy to try and eradicate Islamophobia. It was fun and I got to meet a lot of really cool people at the show, including a really nice Korean-American boy who was just as lost as I was trying to find seating and a couple of really sweet older Persian couples. I always love getting to be surrounded by diverse culture and this was an amazing way to do it. 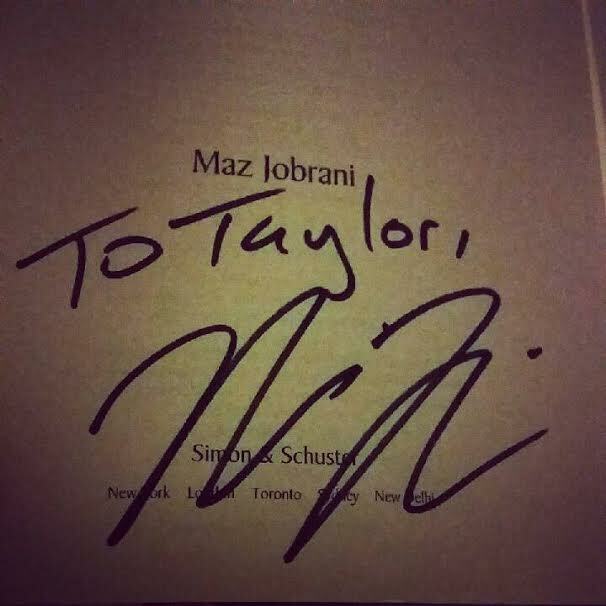 After the show, I actually got to meet Maz, which was amazing because he is such a cool guy and he signed my book! It was so amazing to get to meet the wonderful comedian that is Maz Jobrani. My weekend came to an end on Sunday, the day of the Oscars and the day that I had to leave town. My hotel was swarmed by reporters, but it made for some great conversation! Plus, it rained (something apparently only people from Oregon can appreciate). Overall, I had an amazing weekend and next time I venture to LA I will have to make sure that I avoid Oscar weekend and schedule a little more time to extend the trip!